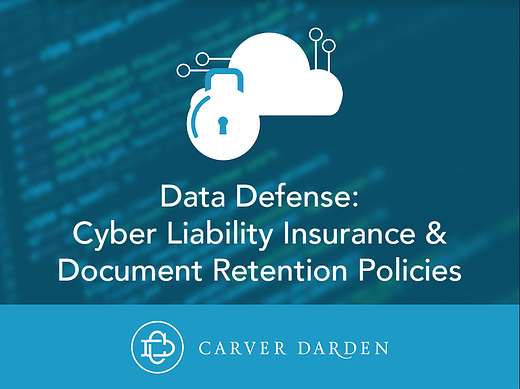 Data Defense, Cyber Liability Insurance & Document Retention Policies, written and presented by Carver Darden partner, Jacqueline M. Brettner, provides an overview of cyber liability insurance and the role it plays in protecting your business. The presentation also includes an evaluation of available cyber coverages in the market and major exclusions to be aware of. A summary of important considerations in the creation of a document retention policy is also included to further assist your business in better protecting itself against cyber risks.